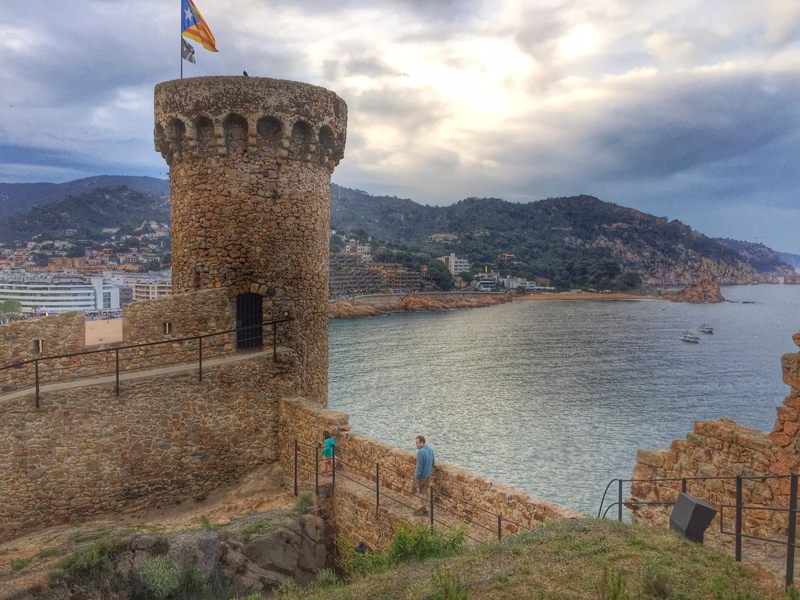 My family came out to join me on the Costa Brava in Spain while I was at a travel blogger conference at the tourist town of Lloret de Mar. 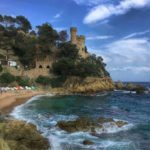 We rented a car and went exploring along the coast of the Costa Brava in search of more traditional Catalan towns than you get in Lloret de Mar. We chose to drive north further up the coast away from Barcelona, a city we knew and loved well. Time for something new! 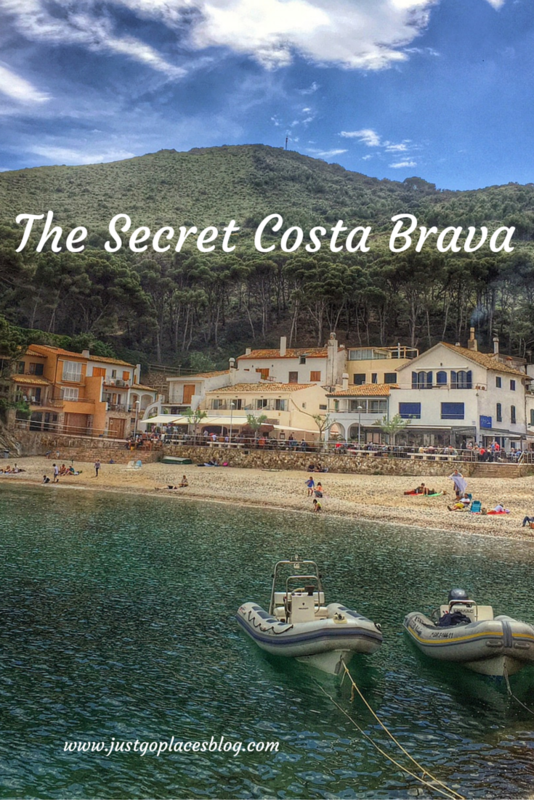 Why did my children love the Costa Brava? Here are their top 5 reasons. There are some fantastic beaches sprinkled along the coves of the coast. Sheltered by coves, the water is fairly tranquil and clear. Occasionally we could see all the way to the bottom even though the water was quite deep. Similar to the beach at Lloret de Mar, the beach at Tossa de Mar is made of coarse sand. Clambering along the rocks lining the coves in Tossa de Mar the children spent time looking for sea anemones in the rock pools. 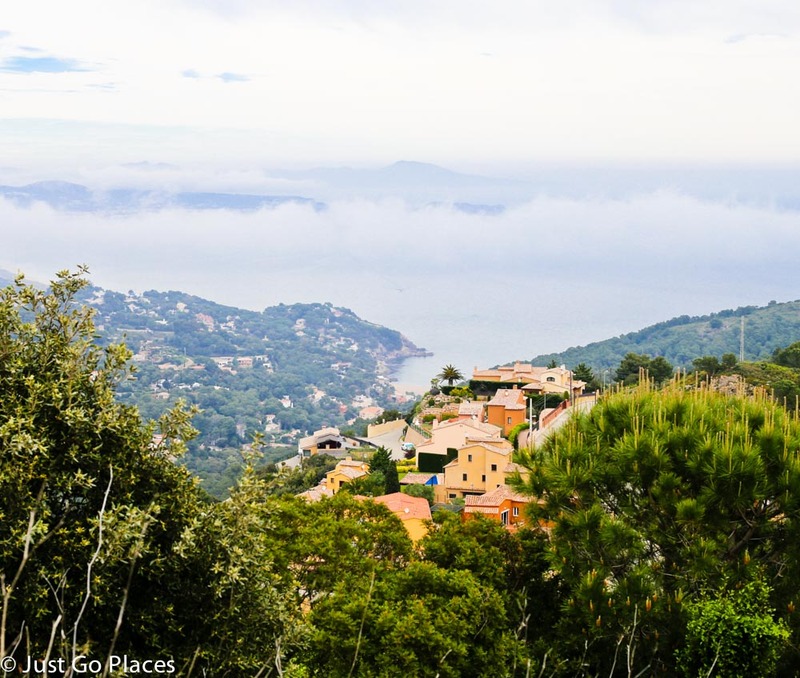 The little town of Begur is blessed with 8 different beaches. We were planning on stopping by for a few hours but loved it so much we spent the entire day. The beach at Ca Tuna has pebbles great for skimming stones while the beach at Aiguablava had soft sand perfect for playing. 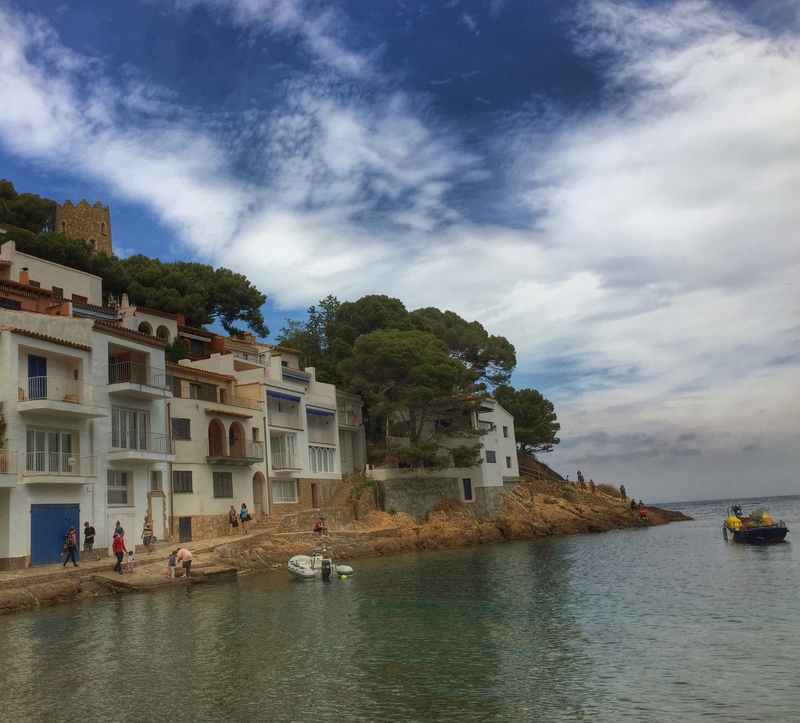 Beach hopping along the coast, we also stopped by the pretty little coves in the towns of Llafranc and Palafrugell. Although it was a holiday weekend in Spain as well, the beaches were not crowded. Fellow tourists seemed to be well-dressed, sunglass-shod urban types chattering away in Spanish. Along the beaches, the children played while their parents grazed on fresh fish and sipped wine at a nearby restaurant. I can definitely get into this sort of beach holiday! Sometimes I think my children are part mountain goat. If there is something to climb, scramble or jump over, I know where I will find them. They clambered over rocks at the beach shoring up the coves and cliffs, balanced on stone walls, and climbed up hilly mountains. 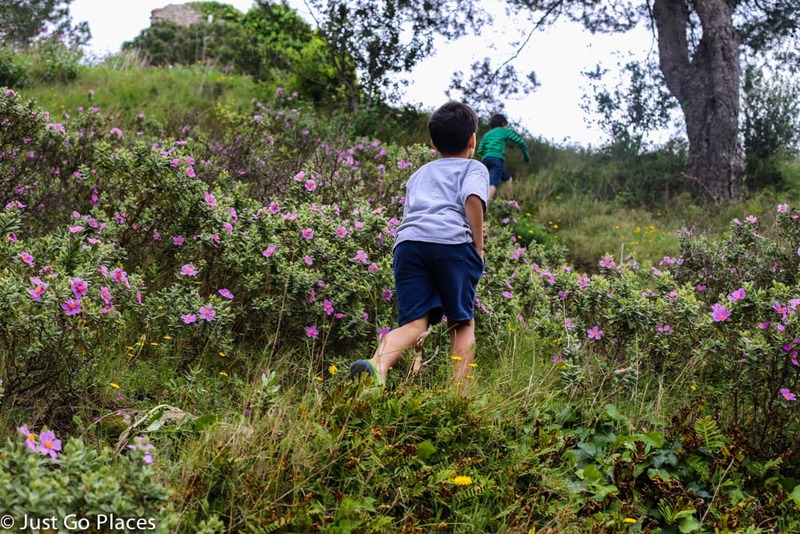 For example, in Begur the castle, located high above the town, has a paved road as well as a shortcut through the wildflowers on the hill. Guess which one the children took? Also, did I mention the views were spectacular? We found many cliff walks along the coast such as that in Lloret de Mar and Begur. These paths were originally used by customs officials to watch out for smugglers. 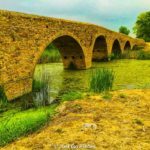 Nowadays they are a nice walk – nothing too strenuous but there are the occasional steps. In some cases you can even walk from village to village. We walked along the stone paved paths, a soft breeze carrying the scent of orange blossom and sea air and the cry of sea gulls. The different rock formations stuck out like craggy teeth into the ocean and on which you could see the occasional person sunbathing or fishing. 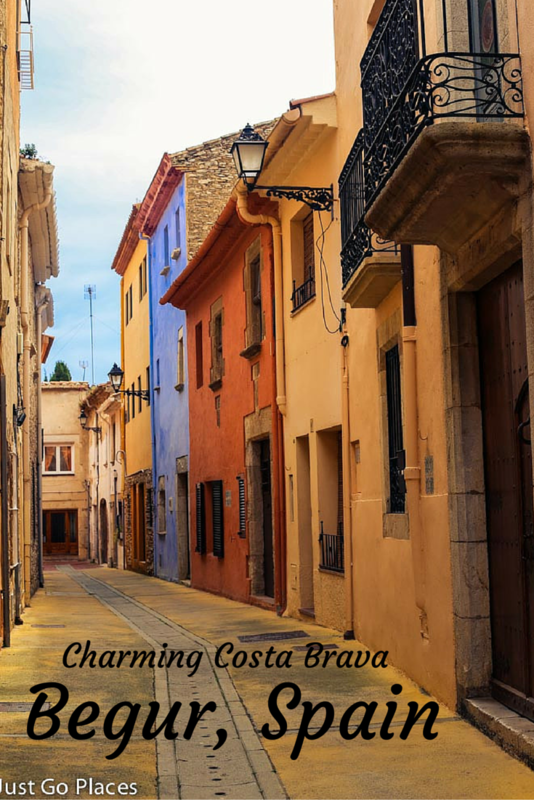 In the village of Begur, the warren of side streets beckon you to explore with occasional flashes of colour, a grand entranceway or a mosaic wall. 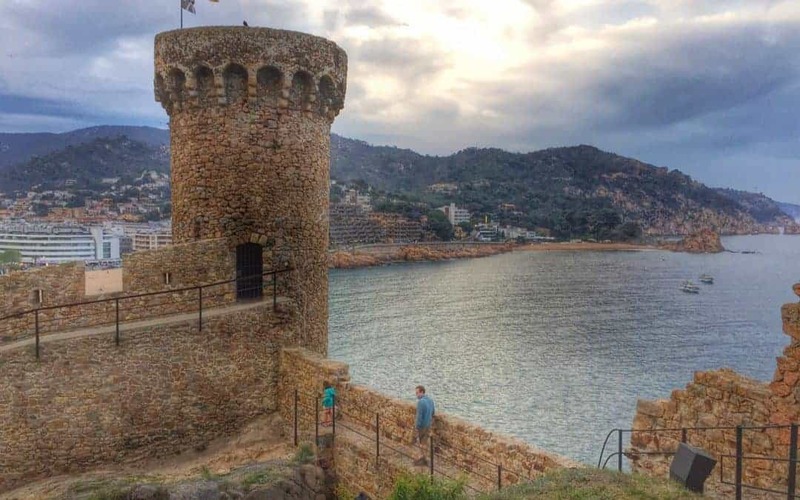 In Tossa de Mar, there is a nice walk up the ruins of the old fortress and the lighthouse. Afterwards, you can walk along the city walls of the Vila Vella which is the old walled city. 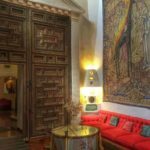 My children were completely envious of all the families who got to live in the Vila Vella still. “They can climb on the walls every day, mummy! How much fun would that be?” my daughter remarked. How much fun, indeed. 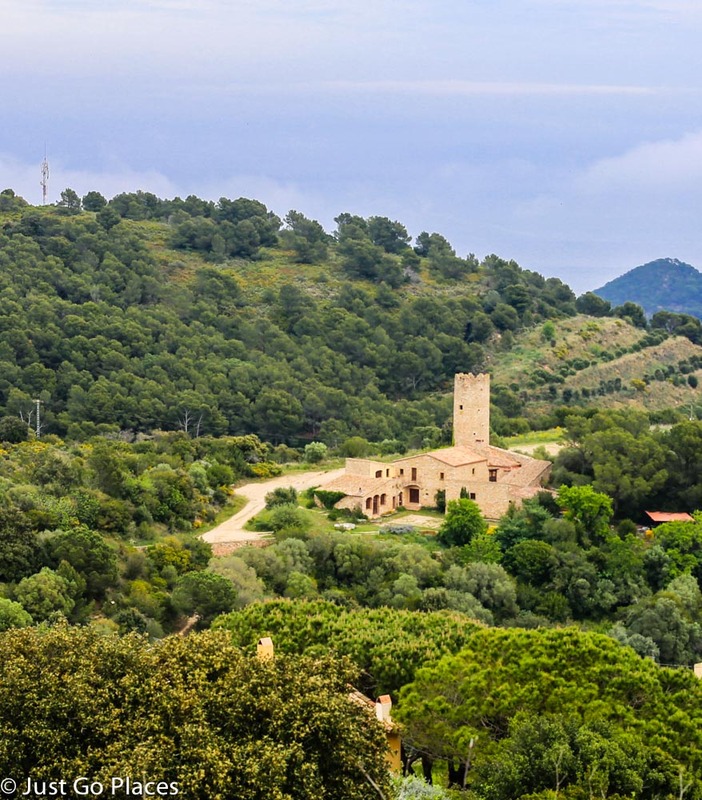 In the Tossa de Mar, the Villa Ametlers are the ruins of a Roman villa which are free to explore. The ruins of the villa are in pretty good condition and attest to its owner’s wealth and importance. 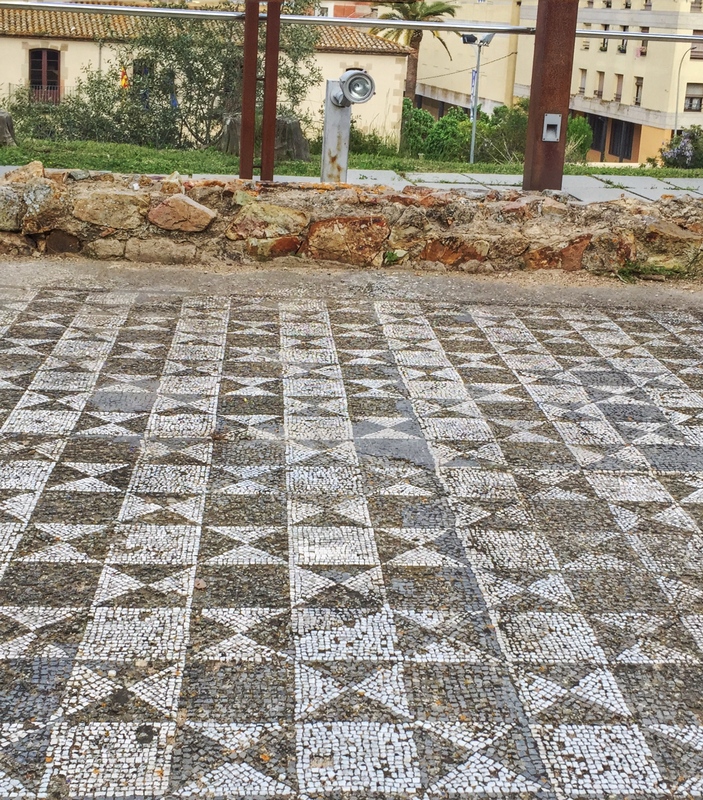 We could see fragments of the old mosaic floors, the baths and the heating system. 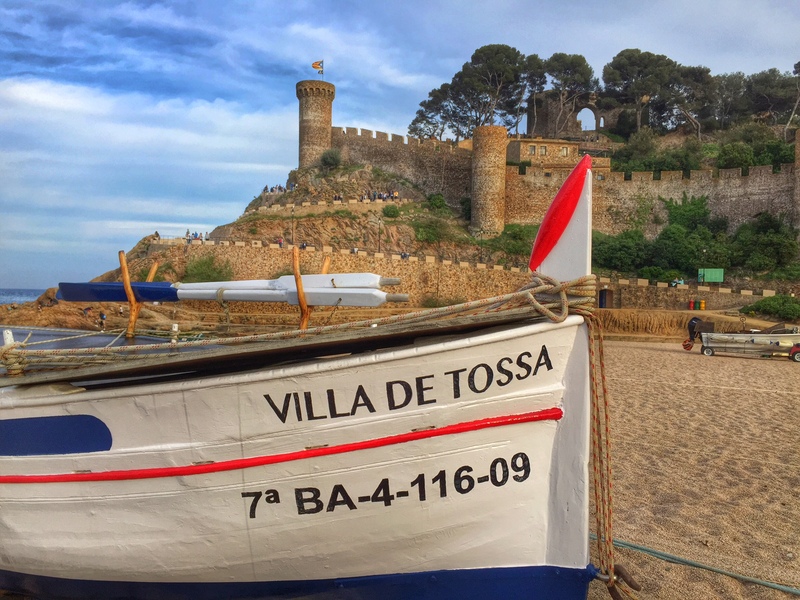 Measures such as look-out towers, fortified city walls and the security doors all showed the fear the villagers in Tossa and Begur had of North African pirates. 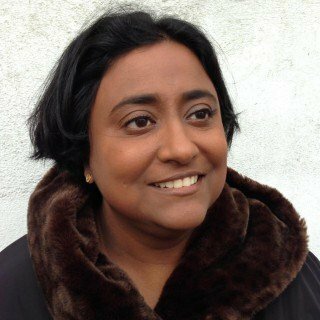 For children, pirates are the stuff of swashbuckling stories. I can’t imagine though how terrifying it must’ve been though for these villagers when the call went out that pirates had been spotted. We fell in love with the farmhouses with the towers as well. Far from the safety of towns, farmers would have a tower of their own to keep watch for pirate raids and also barricade themselves for safety. My daughter decided that these towers would be perfect for a modern-day Rapunzel. When she is a teenager, I’m thinking I could not agree more. She can stay in the tower and out of my hair until she heads to university. 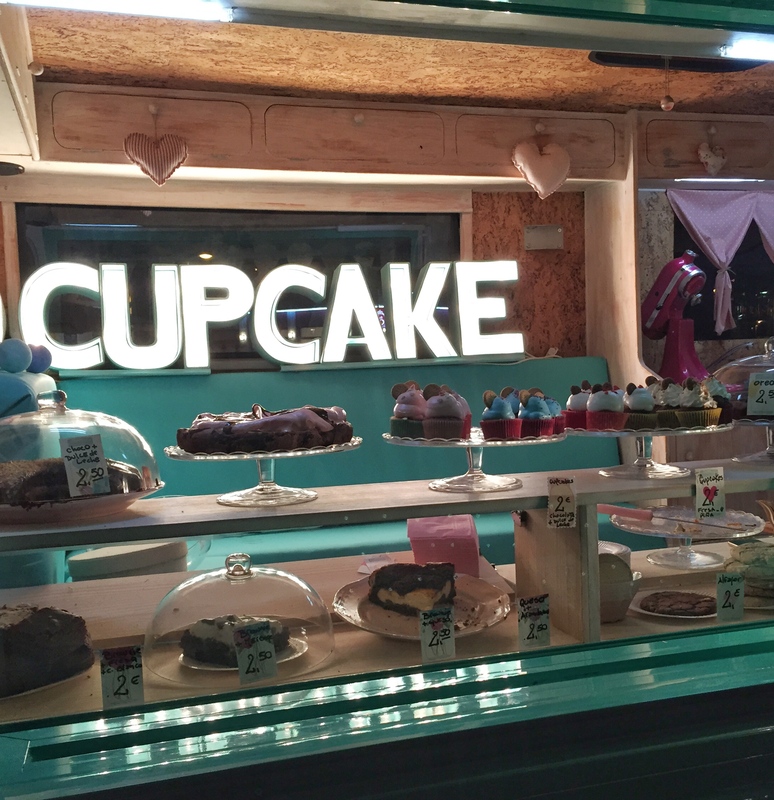 We ate well in both Tossa de Mar and Begur where the options for dining were plenty. My son is a complete foodie and insisted on trying out all the fresh fish, calamari and steak on offer. In the video you can see when he ordered a salt encrusted baked bacon/steak dish at Restaurant Can Pini in Tossa de Mar. They brought it to the table and cracked it open in front of us. It was the most expensive thing on the menu, even more costly than the paella my husband and I shared. The food was excellent and the restaurant is deservedly proud of having hosted the current King and Queen of Spain when they visited Tossa years ago. My daughter, on the other hand, stuck with basic Spanish tapas and pasta at the restaurants. Her choices were probably a good thing because two children with my son’s appetite and flair for ordering would drive us into the poorhouse! We had a great weekend with the children in the Costa Brava in May. The children were disappointed (but we were not!) that the water parks were not yet open. 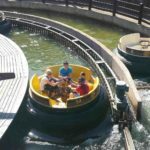 I’m sure the water parks would have made their top 5 list. Instead we had fun the old-fashioned way – beach combing, hiking and eating lots of ice cream. A perfect long weekend in the sun in my opinion!